April 11th, 2014 | Moving Tips. Knowing the right questions to ask during an In-home Estimate is crucial to making it a success. Time is of the essence, so make your next estimate worth it by checking out a few must-ask questions. A good question to ask when considering a moving company is whether or not they are Pro-Mover certified. Avoid a loss of time and money by ‘scammers’ by asking a few simple questions. Look for the Pro-Mover certification confirming that the company is indeed reputable and professional. Full Explanation of a Pro-Mover. Are there reviews readily available? Do a little research on the company. Ask where you can find organic reviews and feedback from customers who have used their services. Of course being realistic and using good judgment when reading reviews is necessary. Also consider awards that the company has received. Viewing Better Business Bureau and Angie’s List are both reputable companies to start the review research process. Online sources through social media outlets can be resource to use when searching for reviews. However, keep in mind using realistic judgment is necessary when reviewing. Extreme opinions are often expressed over social media platforms, yet still might be worth checking out. What is an estimate based on? 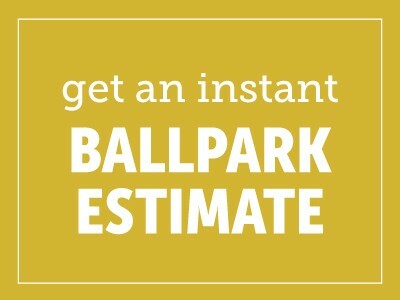 Be sure to inquire what the estimate is being based on. There are many ways that the costs of a move can be calculated. It will be in your greatest interest to fully understand the way in which your estimate will be based. What does the travel look like? The moving and storage industry is a unique industry and often more complex than one might assume. Inquiring about the route your household goods will be taking once departing from your home isn’t a bad idea. This can prevent miscommunication and misunderstanding throughout your relocation process. What questions do they have for you? It’s equally important the moving company asks you questions. You can assume the move will be detailed oriented and professionally handled when a company inquires about the specifics on your move. Any company that does not go the extra mile to consider every aspect of your move should be removed from your list.